Larco Products is excited to announce the newest addition to our lineup of vinyl siding hooks! Just in time for the holiday season, the new VZ Hang® Keyhole Hook for vinyl siding is now available for purchase on our website and anywhere you find VZ Hang® products. As our motto says, we strive to provide quality products that make life a little easier, and the VZ Hang® Keyhole Hook does just that. 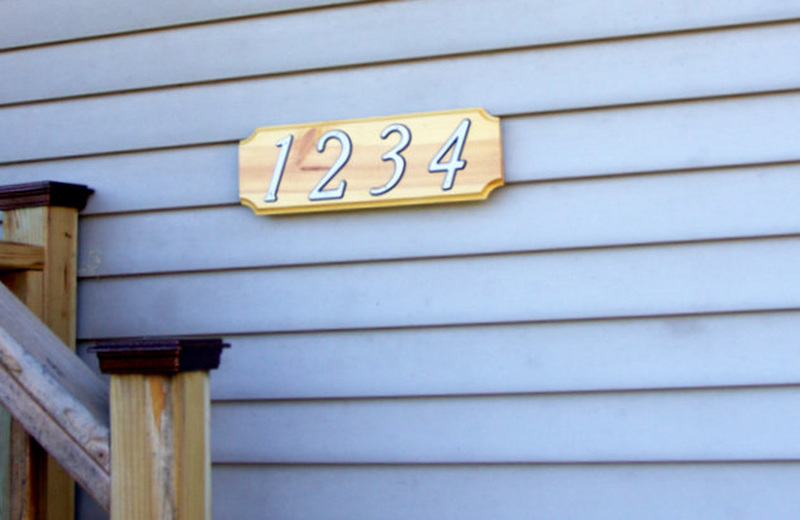 The keyhole hook has been designed to hang light weight items such as plaques, signs and other décor easily from the vinyl siding of your home. Just like our other vinyl siding hooks, the VZ Hang® Keyhole Hook slips into the seams of your home’s vinyl siding without needing any tools or leaving behind any holes or damage. So how our new hook different from our other vinyl siding hooks? This unique hook allows you to hang certain types of decorative items that don’t have a hanging device on it, such as a wire or hook. Attach a nail or screw into the back of decorations such as wood signs and plaques and slip the screw head or nail head into the specially designed ‘keyhole’ in the VZ Hang® Keyhole Hook. Display your favorite artwork, holiday decorations and more on your home. It’s really that easy! When you’re ready to change or rearrange your decorations, simply remove the Keyhole Hook and relocate it as a many times as you like. Add a touch of personality to your home with the original VZ Hang® Vinyl Siding Hook, the VZ Hang® Finish Trim Hook for Vinyl Siding and now our VZ Hang® Keyhole Hook. Order yours and try them today! Buy a package of 7 Hooks here on our website. For more information and demonstrations of installing our vinyl siding hooks, visit our VZ Hang® Video Gallery.